First off, I never swear in posts, so hopefully that gives you a scale of how annoyed I am right now. After 10 years on Optus, I have had enough. Telstra seriously didn’t need to do much to get my business, but the experience has been an absolute joke. Below is a timeline of my nightmare experience of trying to switch to Telstra. Remember this is an effort to sign a 2 year contract that would net them at least $2,000 on top of the home phone and internet I already pay. As history would evidence, I tend to stick to a carrier once I’m there, so there’s potentially a lot more on offer if they look after me with good customer service. September 27th – The day Telstra’s expression of interest page went live, I signed up immediately to get the latest news like a good little potential customer. October 5th – Rose at 3am to watch the iPhone 4S be officially unveiled by Apple. October 8th – Signed up as soon as Telstra’s pre-order page went live. October 12th – Went to the local Telstra store in Wodonga, was told I would receive a call on launch day. I made a point of letting them know I’m switching to Telstra after 10 years with Optus.. i.e. Look after me, but got no call. (This from the same store who botched my first attempt to move to Telstra only a few months ago). I was told that my best chance of obtaining an iPhone 4S as soon as possible was using the online pre-orders. 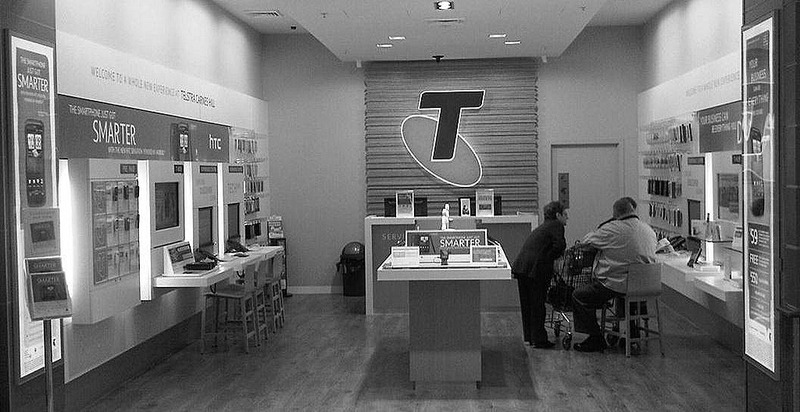 October 13th – I was called by Telstra to confirm my licence details and the order before it could proceed. I enquired if going to the store would be a faster way of landing an iPhone 4S, but was told proceeding with the online pre-order was indeed the fastest way. I was told I was ‘in the first batch’. October 14th – iPhone 4S goes on sale, during the day I heard from a number of friends that local stores in Albury Wodonga did indeed have stock. At this point, I felt locked into the online process and frustrated that I’d been specifically told twice in the past 2 days that I was indeed using the best method available to secure a device. I avoided rushing to the retail store to vent my frustration as I wanted to avoid another screw-up that could potentially result in signing up to 2 contracts for the iPhone 4S. Since then I’ve read on the Telstra forums that this indeed has happened to a number of Telstra customers. October 17th – With no communication over the weekend, I enquired about the status of my order today via twitter, then online form as directed. Others had received shipping emails to let them know their phone wasn’t far away, but I had received nothing since the verification call. Tonight I received an email to let me know, not that my phone would reach me soon, but the order hasn’t even been processed. Firstly, it’s great to hear that you will be upgrading your handset with Telstra to the iPhone 4S and would be more than happy to assist further with an update on your order. I can appreciate your frustrations with the delay that you have experienced in receiving an update on how your order is tracking at the present time and apologise for any inconvenience that this has caused you. I can confirm that we have received your online order and this has been assigned to one of my colleagues to have the order finalised and verified for you. They should be in contact with you very soon to have this order completed correctly in the system allowing the device to be sent out. We have received such a large demand for these handsets that has lead to some delays in processing the orders, but we are trying to have them completed as quickly as possible and not have any errors with these orders as well. Once again I am sorry for the delay, and if you have not heard anything within 48 hours of this email being received please reply and I will have this escalated to my manager to see what we can have completed to speed up this process. Business rule number one people, do not make it hard for people to give you money ! Apologising for any inconvenience has become an obnoxious excuse for incompetence. It does not excuse the fact this has been a horrible experience. At this point I’m ready to say forget the whole thing. I have now cancelled the order. I now have an iPhone 4S on Telstra. Shortly after this post went up, a GM at Telstra reached out to me and appologised profusely for the experience I had. We discussed how they could modify business practices to avoid this type of experience from happening to anyone else. I’m glad my complaints were finally heard and real action is being taken to improve things. As compensation they offered (and I accepted) a 64GB iPhone 4S for the price of the 32GB. The local store in Wodonga also threw in a case.